What is the purpose of taking a family vacation? Most people would answer that while having fun or seeing something new is part of the equation, building relationships is the true motivation for the excursion. If this answer is accurate, then why do family vacations go so wrong that the idea of such an adventure spawned a series of National Lampoon movies? Perhaps success lies in planning. 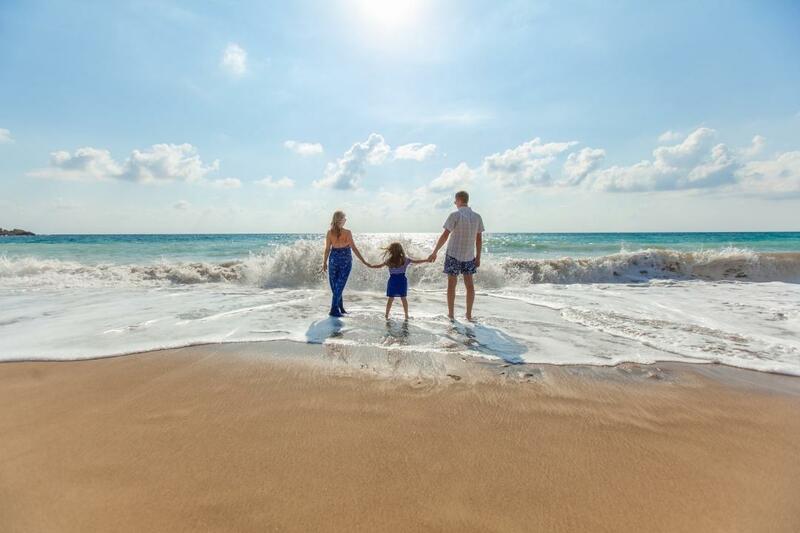 Here are 10 ways you can ensure that your next family vacation achieves its goal. A family so over-scheduled that they do not know or like each other before the vacation will not magically be transformed into a perfect family just because Mom purchased tickets to Disney World. Throughout the year, take steps to build bonds. With those bonds in place, even the simplest vacation will be a fun and relationship-building experience. Try to make vacation plans seamless by planning ahead. For example, if you are driving, book lodging ahead of time and make sure your choice has a pool. Pools are great places for kids to expend all that energy they accumulated from sitting in the car all day. If you are heading to a resort, book excursions and other diversions before you arrive. Now that you have plans, talk about them. Remind kids that they will go horseback riding or that they will be riding the tallest roller coaster on the West Coast. Put pictures of your destination on the refrigerator. Build so much excitement that even the drive out of town is fun. Especially if you are going to an amusement park, snacks are a must-have. Meals are outrageously expensive, and many are greasy enough to leave you and the kids a little queasy. Stuff graham crackers with peanut butter. Buy little boxes of raisins and single-serving sleeves of nuts. Use water enhancer drops to avoid dehydration. Refill water bottles from drinking fountains and enhance the water in your kids’ favorite flavors. Eating three meals in a restaurant is expensive, and it can lead to upset tummies. Therefore, it is a good idea to bring your own breakfast supplies. Granola bars, juice boxes, energy bars, and fruit are a welcome change from restaurant fare. Almost every vacation destination has tourist traps that sell hats. Some hats, such as those in Islands of Adventure’s Seuss Landing, are whimsical. Others, such as those at Churchill Downs, are elegant. Still others, such as those at a beach supply shop, are just plain tacky. Taking pictures of each other in hats makes everyone laugh and creates a terrific photo display when you get home. You will have some down time, so bring several board games and card games. Stick to those that do not take too long and that everyone knows how to play. There are many times that you will welcome the diversion – at the end of a driving day or when it rains, for example. You never know when you need to have a game handy. A pack of UNO cards can save your sanity if you get stuck in an airport. A road trip can be fun, but unloading the car every time you stop for the evening can get tiresome. Therefore, pack in small, soft bags. One bag contains toiletries. Another contains pajamas. Still another has one change of clothes for everyone. It is simply not necessary to lug heavy bags in and out of the car every night. You never know what you will find on a long road trip. You may visit a candy factory, a cavern, a waterfall, or a covered bridge. You can take in a short hike, eat at a local hole-in-the wall, or follow a billboard’s suggestion to something entirely unexpected. The key to experiencing all that America has to offer is time. Don’t plan to drive too many miles each day. Even Mom and Dad can get wrapped up in trying to find the license plates of all 50 states. Kids enjoy games like 20 Questions, Would You Rather, Mad Libs, and I Spy. You can even purchase car games, such as Road Trip Bingo. Taking a family vacation is all about celebrating the wonder of your spouse, your kids, and sometimes your extended family. Do not let poor planning subvert such a worthy goal. Try these 10 tips and have the best time of your life.